Two trips out of my garden this week – one on Tuesday to the RHS Great Spring Show at Westminster which was choc-a-bloc with treasures. Mindful that whatever I bought would need to be transported home on the train I limited myself to a white flowered, variegated Honesty (Lunaria). I had this in my previous garden many years ago but it died out, so high time to reintroduce it again. 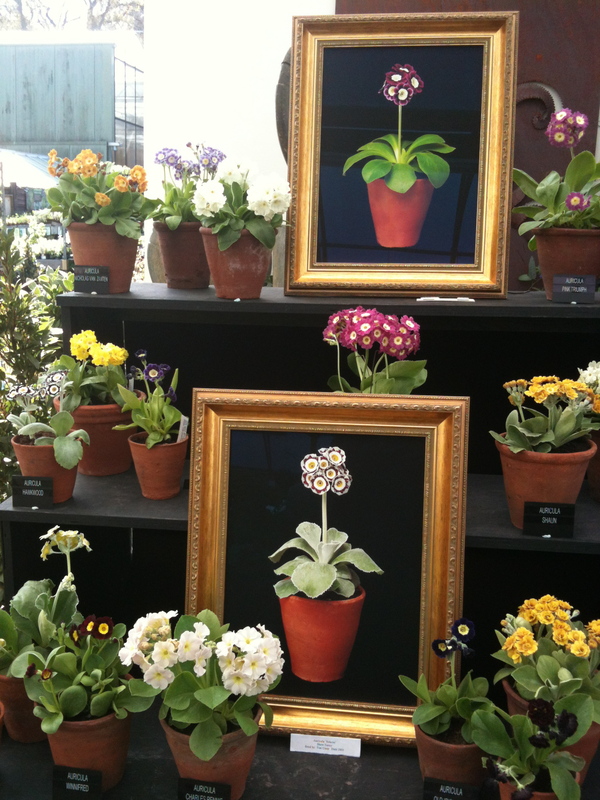 This morning saw me at the RHS gardens in Wisley for the second day of the Auricula Festival. I love these flowers, the Victorians had the right idea in creating ‘theatres’ to display them to their very best. It will be a while before I have anything resembling a collection, but I’ve started it off with two choice specimens. This entry was posted in Out of my garden and tagged auricula, gardening, RHS, Royal Horticultural Society, Wisley. Bookmark the permalink.